Ramadan is close to our hearts. There are countless things which make this month special; from fasting to community spirit, here are 11 things we love about Ramadan. Ramadan feels incomplete without a big family gathering. Who doesn’t love hanging out with the cousins, playing with countless nieces and nephews, and feeling humble in the company of the elders of the family?! Not to mention after a day’s fasting the endless food is a treat we love to share. Every year thousands of Saudis flock to countries abroad to further their education or get work, and every year countless return for Ramadan at the expense of their numbered holidays. This is perfect because it adds another dimension to Ramadan: reunions and parties! After just one evening you’d have lost count of the hugs and kisses. Cafes, restaurants, malls, and even the streets all are awake at night. Everything lights up and suddenly there are crowds full of energy. It’s a beautiful sight to behold, and especially useful when Ramadan falls on the hottest month of the year. Like the joke goes, Ramadan is the only month of the year Muslims have a date every night! 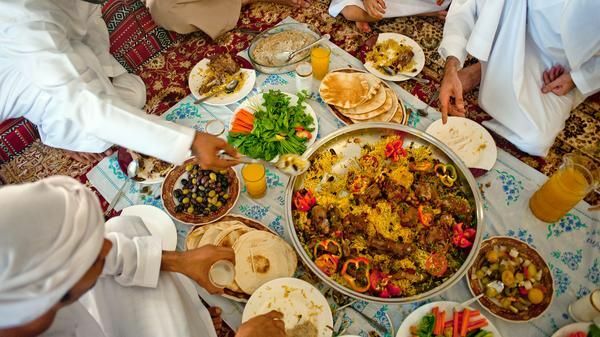 Ramadan without dates is unimaginable and for a lot of us it’s the month which makes us appreciate the bountiful blessings of dates, and food and drinks in general. Samboosa is a must at every Iftar. We love these delicious, meat filled snacks. Other Ramadan goodies like Gamar-al-deen, Kunafa, and atayef are pure delights! They are all best when shared! We love it when our neighbors send us trays of yummy Iftar treats, and who wouldn’t?! Ramadan is the month which brings us closer to our neighbors and the community at large. The best part is distributing food packages to the poor and homeless. Most importantly, Ramadan is the month of spiritual rejuvenation. The taraweeh prayers give us so much peace. Standing next to people we don’t usually meet and praying also makes our perspective stronger, and it builds the peace in the community. Ramadan is one of the biggest seasons for television shows in the Arab World. Who doesn’t love Ahmad Al Shugairi’s Khawater?! The show defines the spirit of Ramadan and the spirit every Muslim should have throughout year. Millions of Muslims flock to Makkah every year, especially during Ramadan to perform Umrah and spend a few days in this special place. Performing Umrah not only boosts our spirituality but also makes us humble when we see Muslims from all over the world gathered in one place. Our main goal during Ramadan is to become better versions of our selves. 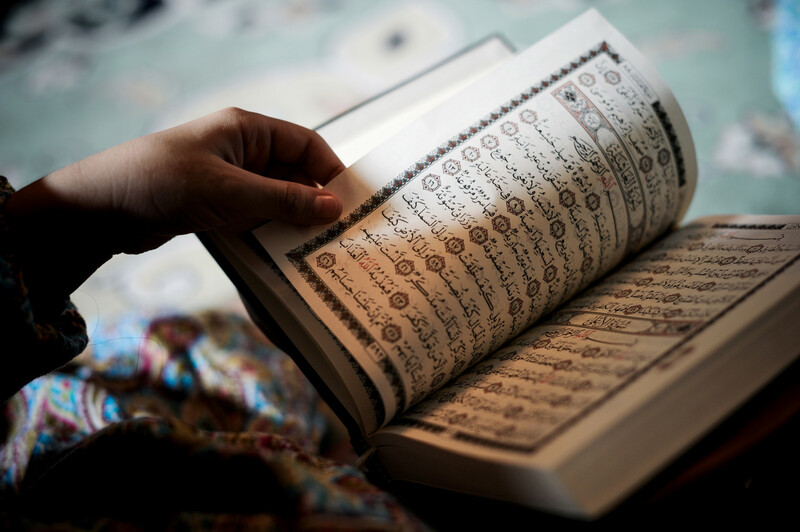 We make the effort to read and understand the Qur’an every day, we try to be more charitable and we do our best to ditch the bad habits. Isn’t that what we all love and miss most about Ramadan? Eid comes right after Ramadan but it’s still a huge and permanent part of Ramadan. From buying new clothes to making plans for even bigger family gatherings, and getting ready to gift your loved ones, Eid preparations are just as exciting as Eid itself! Ramadan is a personal experience and a spiritual journey that we get to share with our family, friends and the community. What is your favorite thing about Ramadan?